Private cargo port belonging to Murchison Group operating with container and Ro-Ro vessels. 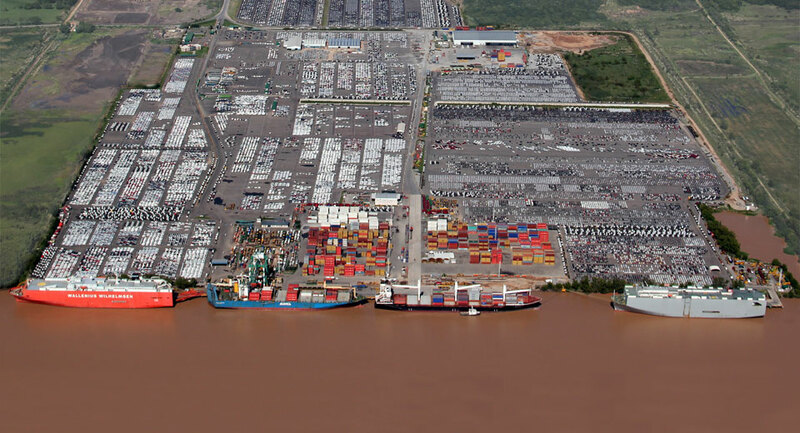 The port has 2 specialised terminals (cars, containers and general cargo). Operations at both terminals are round the clock (see also tugs). 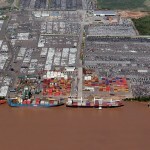 Total area of terminal 143 hectares with 1000 m river frontage, divided in two areas. There is one steel and reinforced concrete quay recently extended to 382 length, 20 wide, fitted with one 45 ton Gantry crane and trellex fenders every 18 m suitable for vessels 250 m LOA, Dwt 60.000. Depth alongside 10,60 m (35 ft) at datum. A second berth consisting of three dolphins, total frontage 250 m, immediately downstream from the above quay allows simultaneous berthing for two vessels, exclusively car carriers. The ramp of the “Ro-Ro” vessels moored at the dolphins being landed on the aforementioned quay. This terminal offers a bonded 160.000 sqm area for container and general cargo operations, with 295 reefer plugs. One 9500 sqm warehouse for consolidate cargo;1 mobile 104 ton crane, 7 container reach stackers (all 42 Tons) and 5 container top loader (32 Tons). Outside the premises (nearby area) the terminal operates a transfer to and from the national railway system. The area specifically designed for vehicular cargo, has a 950.000sqm paved reception/storage area of which 230.000 sqm are bonded enclosure, allowing stowage for up to 47.000 vehicles. Warehousing with a total covered area of 4600 sqm specially equipped for PDI (pre-delivery inspection, washing and repairs). 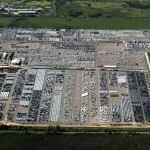 Major cargo movement amounted over 500.000 vehicles, imported and exported.